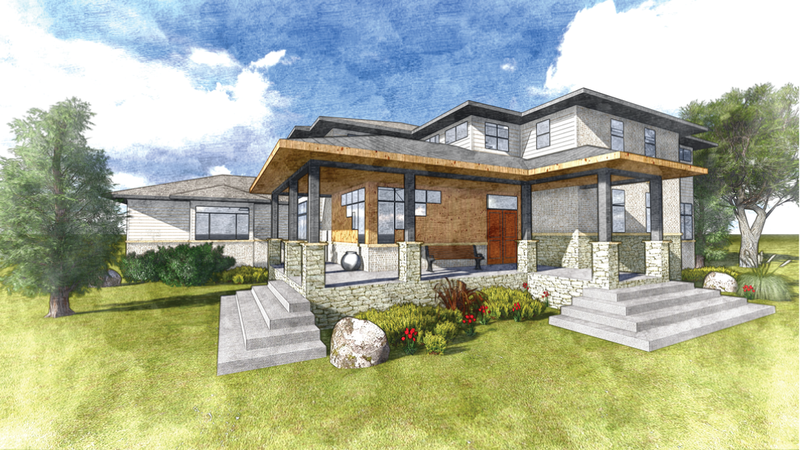 Naatz Construction invites you to enjoy this breathtaking home in a unique, rural setting. The soaring 20’ ceilings, impressive gourmet kitchen with two islands, and ravishing stone fireplace are a few details in this home. The open staircase is made from solid timbers with black iron railing. As you enter the master suite, you will be captivated by the timber beams and sliding rough sawn doors that allure you into a large master bath with an all-glass shower and built-in wood bench. Majestic 18’ sliding patio doors open to an impressive back porch with wood ceiling, stone wall and fireplace that overlooks a private lake. Beginning with a design to compliment your lifestyle and throughout the building process, Naatz Construction is focused on the quality and details of every dream home.